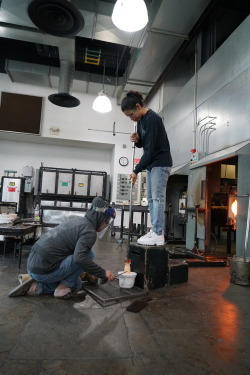 The Corning Museum of Glass is busy preparing for the special 2300° event that will kick off the sixth annual GlassFest, a weekend-long celebration of glass and fire arts in America’s Crystal City. We recently sat down with Eric Goldschmidt, properties of glass programs supervisor, to ask a few questions about the talented demonstrators who will be featured at 2300°: GlassFest. 2300°: GlassFest is shaping up to be an incredible event! Who are the guest demonstrators? Our three featured demonstrators are all scientific glassblowers for their “day-jobs.” They make specialty laboratory apparatus that are used for research and experimentation. Mike Souza works at Princeton University, Sally Prasch works at Syracuse University, Kiva Ford works at University of Notre Dame. 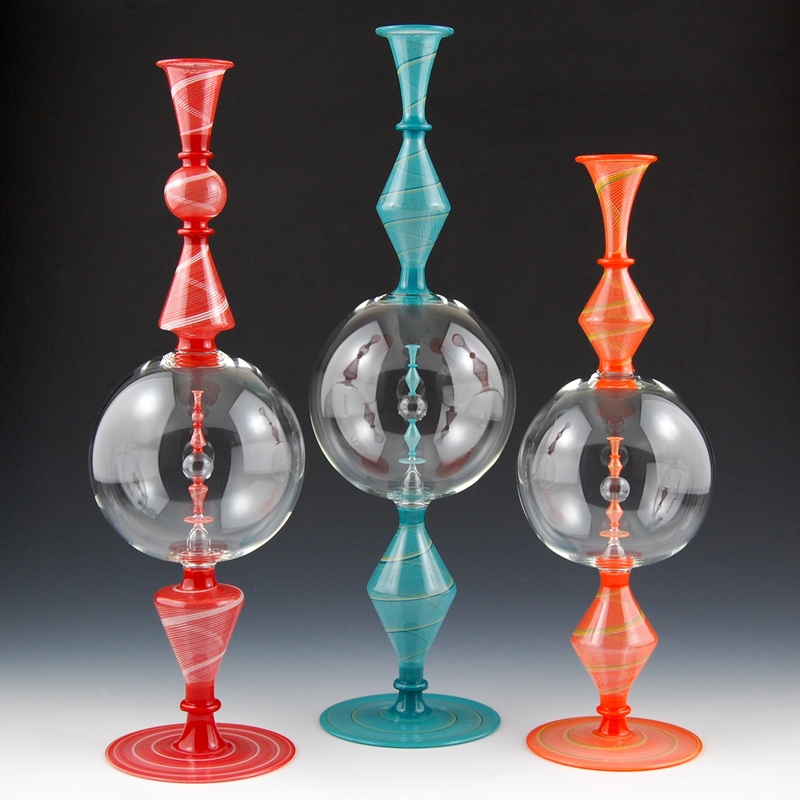 All three have been very active in the American Scientific Glassblowers Society. 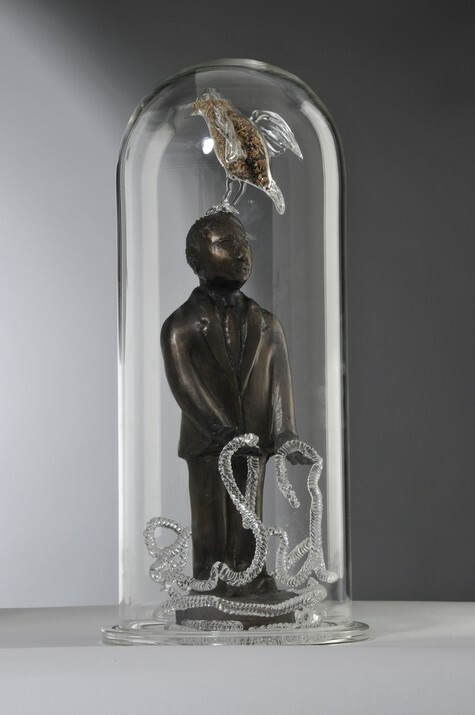 Sally and Kiva are also renowned for their artistic glass work. These three artists are so talented. How did you connect with them? The glass world is filled with small, concentric circles, and the flameworking world is even smaller. I’ve connected with all three of our demonstrators through conferences and mutual glass friends through the years. 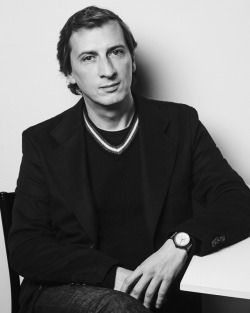 What do you find most inspiring about each individual’s work? I’ve had the opportunity to spend some time with both Mike and Sally in their respective labs at Syracuse and Princeton. Seeing first-hand how their skills with glass enable scientific research to take huge leaps forward is amazing. I haven’t yet had the opportunity to see Kiva work in the lab, but what I have been seeing with him is an incredibly steep trajectory of his artwork gaining recognition over the last few years. 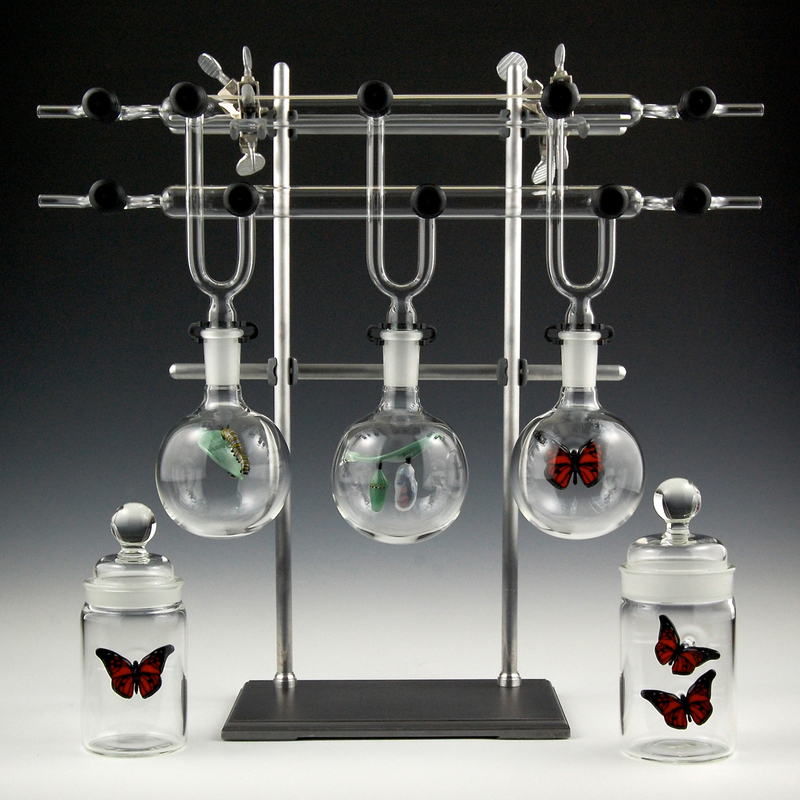 He combines the skills he uses to craft laboratory apparatus with his unique artistic vision to make beautiful sculptural objects. Sally has been widely recognized for many years as a brilliant talent in artistic glass working as well. In addition to the beautiful and functional work she makes, Sally has been teaching classes and workshops around the world for many years. She has taught and inspired hundreds of people to make glass. Mike continues to be an incredible resource for flameworkers around the world as well. He writes articles and creates instructional videos that inform hundreds of other flameworkers. What commonalities do they share that made them seem like a good fit for the 2300°:GlassFest kick-off event? The key commonalities our three demonstrators share for this particular event are their skills and standing in the scientific glassblowing world. As we celebrate the 100th anniversary of Pyrex, it is important to point out how Pyrex has played a key role in laboratory glass-making for over a century. 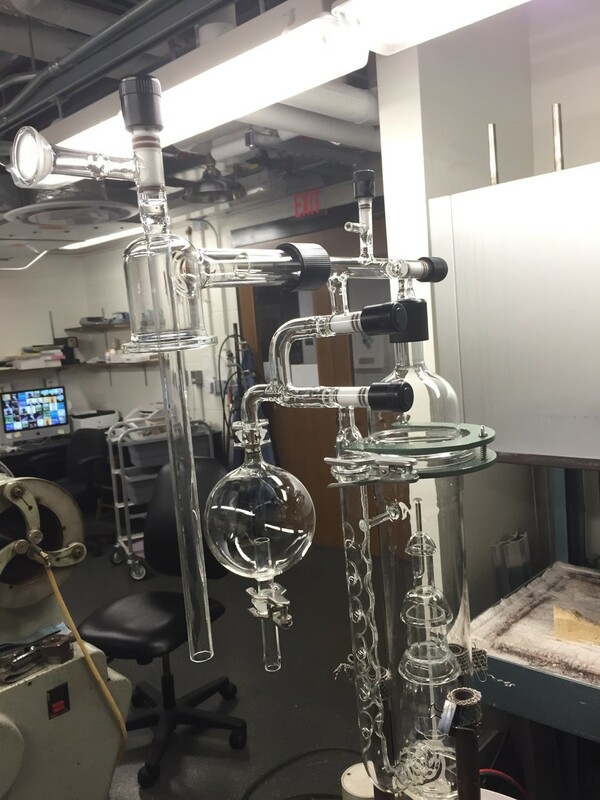 This use of Pyrex in the lab has, in turn, helped to propel the growth of scientific experimentation and advancement. What will be the focus of their demo for 2300°? 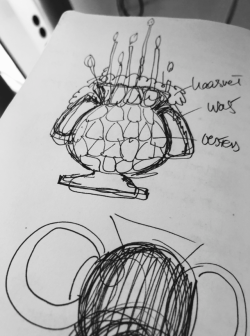 For their 2300° demo they will be building laboratory apparatus and sculpture that will help to illustrate the parallels between glass and science throughout history. What’s most exciting to you about having the three artists working together? During our Grand Opening weekend, we had the opportunity to highlight our amazing furnace glassblowing capabilities with a few of the greatest glassblowers in the world. For this event, we are thrilled to have a few of the great talents of the flameworking world show what is possible with that process in our new space. I know these three talented artists will absolutely fascinate our guests. Are you planning to collaborate with them? As we began planning for this event, I thought I would stay behind the scenes as more of a facilitator. However, as we have continued to develop the content involved, and as I’ve seen all that has been accomplished thus far in the Hot Glass Amphitheater, there’s no way I can resist the idea of collaborating with these great artists. I can’t wait! This is the sixth annual GlassFest, with lots of great events and activities taking place all weekend long. What are you most looking forward to about the weekend? I’m thrilled that Kiva will be demonstrating with us throughout the weekend, and I always enjoy seeing our community rally around this material that has been the lifeblood to this area for such a long time now.